In 1995, the Government of Canada established the Aboriginal Head Start in Urban and Northern Communities Program to help enhance child development and school readiness of First Nations, Inuit and Métis children living in urban centres and large northern communities. In 1998, they expanded the program to First Nations communities on reserve. The Aboriginal Head Start in Urban and Northern Communities Program has provided funding to Indigenous community-based organizations to develop and deliver programs that promote the healthy development of Indigenous preschool children. 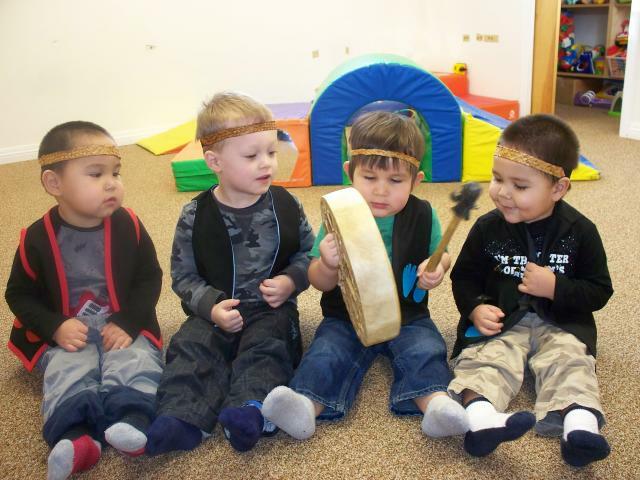 The Aboriginal Head Start on Reserve Program funds activities that support early intervention strategies to address the learning and developmental needs of young children living in First Nations communities. Both programs support the spiritual, emotional, intellectual and physical development of Indigenous children, while supporting their parents and guardians as their primary teachers. The program incorporates early child development strategies that are designed and controlled by Indigenous communities in six areas: education, health promotion, culture and language, nutrition, social support, and parental/family involvement. The Program recognizes that parents, guardians and other family members are the most important teachers in a child’s life and helps parents and other caregivers learn and improve skills that contribute to healthy child development. It also works with families to help strengthen family relationships. The Aboriginal Head Start on Reserve Program encourages parents, families and community members to play an important role in running the Program. The Program also builds relationships with other community programs and services so that children get the best care. On average, the Aboriginal Head Start in Urban and Northern Communities Program reaches between 4600-4800 children annually at 134 sites. In the 2015-16 reporting year, over 14,000 First Nations children on reserve participated in an Aboriginal Head Start Program (excluding BC). Sources: Government of Canada. (2010). Aboriginal Head Start On Reserve and Aboriginal Head Start in Urban and Northern Communities (AHSUNC) – accessed November 14, 2018.